Jeremy Stanley captures the entire creative process of this large interior mural located in Masoro, Rwanda at the Kate Spade & Company production facility. Learn more about Kate Spade & Co's on purpose project which trains and employs Rwandan women to produce high quality fashion products here. 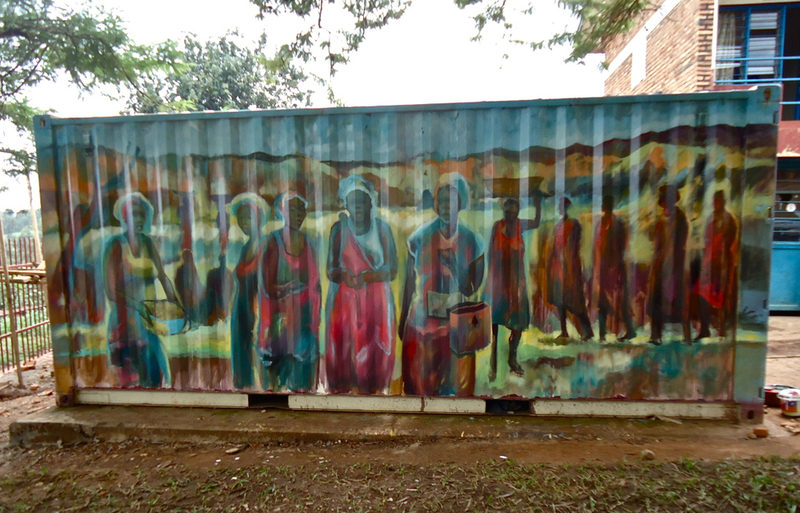 In addition to original paintings, Joe's portfolio includes a number of large interior and exterior murals across Rwanda. Murals are a true expression of Joe's creative process. Rarely pre-determined, Joe's study of a given space inspires his spontaneous work. 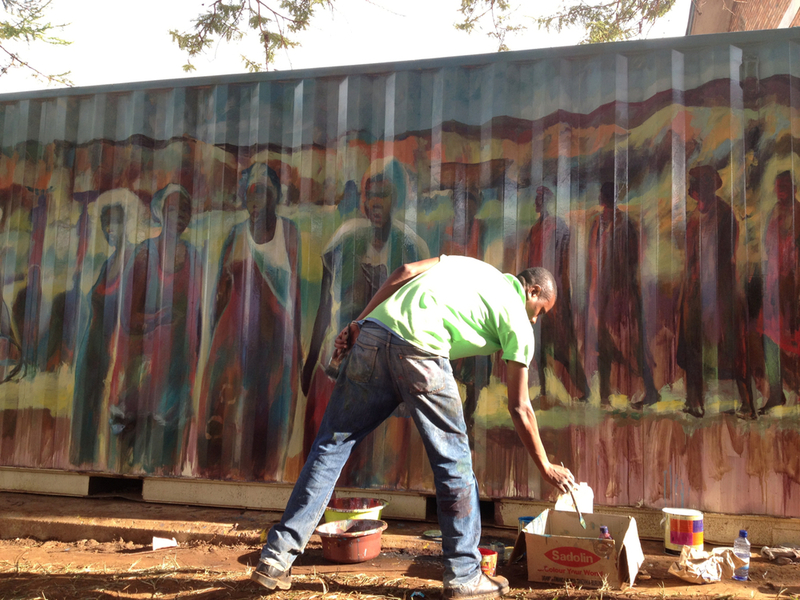 If your are interested in a mural to liven your space (any space), please contact Tongo Art Gallery.